The EVO De-power concept is a simple 4 line system with a 4m long Life Line featuring a V shaped bridle with a pulley system on each of the front lines. This simple system offers complete safety and allows for increased de-power by finely tuning the angle of attack of the kite. When the quick release is activated the EVO system becomes the Life Line and the kite lands safely on its back with immediate and total power kill. EVO De-power offers complete control with direct and responsive steering in all riding conditions. Sheeting the bar in and out is very progressive even with the kite fully de-powered. Unhooked the kite remains light and very predictable, inspiring confidence so you can progress faster. 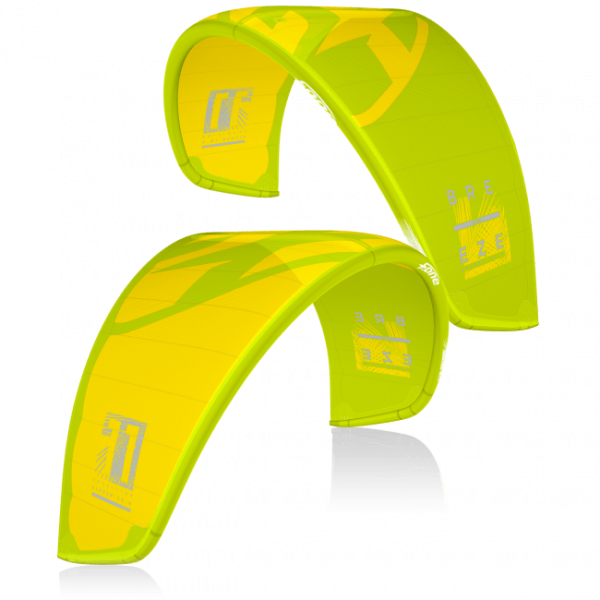 Kapcsolódó linkek "Breeze V.2 2019 Lime / Yellow komplett Linx bar-ral"
Vásárlói értékelés "Breeze V.2 2019 Lime / Yellow komplett Linx bar-ral"